Pojo's Dragon Ball Z news, tips, strategies and more! Celebrating 16 Years of DBZ here Pojo.com! Serving the DBZ Community since 1999! Want to talk about DBZ? Check our DBZ Message Boards. Over 200,000 posts on Dragon Ball! Thursday, April 6, 2017 Dragon Ball Z Dokkan Battle Celebrates 150 Million Downloads with Special Summon and Bonus Campaigns! Read more in Today's DBZ News. Tuesday, November 15, 2016 "Dragon Ball BANDAI NAMCO Entertainment Inc.’s hit mobile game Dragon Ball Z Dokkan Battle, has surpassed 100 million downloads worldwide since its launch just over a year ago and has been ranked a top 10 title in over 19 countries worldwide!To celebrate 500 days since the launch of Dragon Ball Z Dokkan Battle, all players who log in on November 24th will get a log in bonus of 50 Dragon Stones!" Read more in Today's News. Friday, June 31, 2015 Dragon Ball Z: Resurrection ‘F’ hits theaters for a limited engagement next week. We were lucky enough to get a sneak peek at the film, and have a Pojo Review for you right here. Dragonball Z: Resurrection F was No. 1 at the box office in Japan with an estimated $8M in 656 locales across Saturday and Sunday. That is a 40% higher opening than Fox’s Dragonball Z: Battle Of Gods in 2013. DVDTalk posted a review of the new Blu-ray: Dragon Ball Z: Battle of God. Tuesday, June 24, 2014 Watch the official theatrical trailer for Dragon Ball Z: Battle Of Gods, coming to theaters in the U.S. and Canada this August! Only a limited amount of theaters in select cities will be showing Dragon Ball Z: Battle of Gods. Wednesday, May 21, 2014 Toonami Streams Dragonball Z: Cooler's Revenge Trailer. Cooler's Revenge will then run on May 25 at midnight ET. Wednesday, September 16, 2013 DBZ returns to Toonami this fall at 6:30 EST Weekdays! - See Toonami's schedule here. Friday, July 26, 2013 We got our hands on one of these cool Orange Goku shirts from TVStoreOnline.com, and decided to give it a review. You can read our full review here. Tuesday, May 7, 2013 We added a new What If from our readers today. Thursday, December 27, 2012 Namco Bandai Group announced on Monday that it will open the world's first theme park devoted to Shueisha's manga magazine Weekly Shonen Jump next summer. The theme park will span about 6,168 square meters (about 1.52 acres) on the third floor of the Sunshine City World Import Mart Building in Tokyo's Ikebukuro ward. Check out all the details on ANN today. Thursday, December 13, 2012 Dragon Ball Z: Battle of Gods' Full Trailer Streamed! Check out all the details on ANN today. Namco Bandai Group announced on Monday that it will open the world's first theme park devoted to Shueisha's manga magazine Weekly Shonen Jump next summer. The theme park will span about 6,168 square meters (about 1.52 acres) on the third floor of the Sunshine City World Import Mart Building in Tokyo's Ikebukuro ward. Wednesday, February 22, 2012 We added 2 new What If's from John today. Friday, January 27, 2012 "Funimation announced on Thursday that it has suspended production on all future Blu-ray releases of the Dragon Ball Z television anime series, including the Level 2.1 disc that was originally scheduled to be released on March 27." - Read more at ANN today. Thursday, January 26, 2012 The author of the Tribute game "DBZ Devolution" sent us an email letting us know he's recently updated the game. Check it out. Thursday, January 5, 2012 U.S. TV's Nicktoons to Run Dragon Ball GT in January! Sequel to Dragon Ball Z to begin running on January 16 - The American Nicktoons TV channel confirmed this week that it will begin running the Dragon Ball GT anime series on January 16 at 7:00 p.m. EST. This sequel to Dragon Ball Z originally aired in Japan from 1996 to 1997, and it tells a story not depicted in Akira Toriyama's original Dragon Ball manga. Cartoon Network's Toonami programming block ran Dragon Ball GT from 2003 to 2005. Wednesday, December 28, 2011 We added a new What If from our readers today. Tuesday, November 8, 2011 Gamespot has a review of DBZ: Ultimate Tenkaichi for the PS3/XBOx360 today. GamePro has one as well. DVDTalk has a review of DBZ: Dragon Box 7. Thursday, December 30, 2010 We added a new What If from Tyler today. Tuesday, October 5, 2010 We added a new What If from our readers today. Thursday, August 26, 2010 We added a couple of new What If's from our readers today. Wednesday, May 19, 2010 This is fun read about Dragon Ball Shirts being Retro: "How Japanese Cool Came to America - The Atlantic"
Friday, May 7, 2010 IGN has a detailed review today of: Dragon Ball Z: Dragon Box Three - Possibly the peak of the series. In terms of volume, at least. IGN also has a detailed review of: Dragon Ball Season Four DVD - Back when the big green alien was actually a bad guy. Wednesday, April 29, 2010 4Kids Entertainment Signs Dragon Ball Z Kai for U.S. Broadcast Premiere on TheCW4Kids Saturday Morning -	As part of the series' 20th anniversary celebration in 2009, in a project overseen by its creator, Akira Toriyama, Shueisha and Toei Animation remastered the "Dragon Ball Z" series for HDTV, re-edited the series, updated its opening and ending sequences, rerecorded the vocal tracks by most of the original cast, and launched the newly named "Dragon Ball Kai" on Japanese television in April 2009. The series currently rates among the top five animated programs on Japanese television. Sneak peeks of "Dragon Ball Z Kai" will be seen this summer before the series premieres as a regularly scheduled program on TheCW4Kids Saturday morning block during the 2010-2011 broadcast season. Friday, April 10, 2010 Kangal sent us a detailed theory on Time Travel in Dragon Ball. This is a fun read. Tuesday, April 6, 2010 We added a new What If from one of our readers today. It's titled: What if they made a live action DBZ. . . OMG, they did that already and look what happened!!! Tuesday, March 16, 2010 Dragonball Z Kai will premiere on Nickelodeon in May 2010. Dragon Ball Kai is an anime series that is an HD Remaster and Recut of Dragon Ball Z done for its 20th Anniversary. More details on AnimeNewsNetwork today. Monday, January 11, 2010 We a new What If from one of our readers today. Monday, January 4, 2010 We a new What If from one of our readers today. Wednesday, November 25, 2009 Gamespot has a review of Dragon Ball: Raging Blast for the XBox 360 today. IGN has a Dragon Ball Z: Dragon Box One DVD Review today as well. Monday, November 16, 2009 DVDTalk has a review of the new DragonBall Season 2 DVD Box Set. "Tokyo-based gourmandise [JP] today announced what seems to be relatively rare: Dragon Ball-inspired gadgets. Their so-called DRAGONBALL HEADPHONE will be available in two versions. The “Kame Type” [JP] model features the Chinese character for turtle (kame in Japanese), while the “Dragon Ball type” [JP] headphone features four stars, just like on the dragon ball Son-Goku received from his grandfather before his death." Full details on CrunchGear. IGN has a review of Dragon Ball: Raging Blast for the PS3. Thursday, November 5, 2009 CBS Minto has a review of DragonBall: Revenge of King Piccolo for the Wii. Tuesday, October 20, 2009 ptrunks19 has a detailed article for you today detailing the new Dragon Ball Z: Dragon Box. Thursday, July 14, 2009 "Leading video game publisher and developer NAMCO BANDAI Games America Inc. today confirmed that it has secured exclusive North American rights to publish official videogames for the longstanding classic anime and manga series, Dragon Ball across all major consoles and hand held platforms. This agreement will run for five years and supersedes the existing rights granted to publish titles on the Nintendo DS, Wii, PLAYSTATION3 computer entertainment system, PSP, and Xbox 360. As part of this new agreement NAMCO BANDAI Games America Inc. intends to initially publish three titles, Dragon Ball: Raging Blast for the Xbox 360 video game and entertainment system from Microsoft and PLAYSTATION® computer entertainment system, Dragon Ball: Revenge of King Piccolo exclusively for Wii, and Dragon Ball Z: Attack of the Saiyans exclusively for Nintendo DS". More details on Namco's Site. 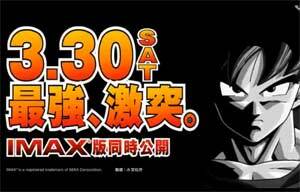 Thursday, June 4, 2009 NAMCO BANDAI Games Europe S.A.S. today announced the Autumn launch of Dragon Ball®: Revenge of King Piccolo exclusively for Wii. The visuals in Dragon Ball: Revenge of King Piccolo take the series to a new level by faithfully reproducing on-screen the original drawings of legendary Dragon Ball artist Akira Toriyama down to the finest pen strokes. Game modes include Story mode which follows Kid Goku from the Red Ribbon Saga to the King Piccolo Saga with the ability to replay previously completed stages, and the unlockable VS mode where players can take different unlocked characters into battle. Thursday, April 9, 2009 Dragon Ball Evolution hits theaters this weekend on Friday, April 10, 2009. Bandai America extends the viewing experience of Dragon Ball Evolution beyond the big screen with the debut of its collectible action figure lineup with 4” and 6” figures. For more information on Bandai America’s Dragon Ball Evolution toy line, please visit: http://www.bandai.com/dragonballmovie. Tuesday, March 24, 2009 We added a few new What If's from our readers today. Tuesday, March 3, 2009 We added a couple new What If's from one of our readers today. And LWILCE sends his take on the Power Levels from DB/Z/GT. Tuesday, February 25, 2009 We a new What If from one of our readers today. Monday, February 16, 2009 We added a couple new What If's from our readers today. Monday, February 9, 2009 We added a new What If from one of our readers today. Monday, January 5, 2008 The Anime News Network reports: "Bandai Remakes Complete Dragon Ball 1988-1990 Card Set". That's kind of cool. Those are some fun cards. Friday, December 5, 2008 Today's Dragon Ball Card of Day is Bulma. Organous has a review for you today. Thursday, December 4, 2008 Today's Dragon Ball Card of Day is Nappa. Organous has a review for you today. Tuesday, December 2, 2008 Today's Dragon Ball Card of Day is Raditz. Organous has a review for you today. Tuesday, November 25, 2008 Today's Dragon Ball Card of Day is Android 17. Bibbo has a review for you today. 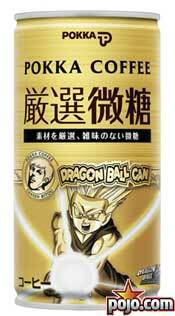 Friday, November 21, 2008 Today's Dragon Ball Card of Day is Special Beam Cannon. Organous & Bibbo all have reviews for you today. Thursday, November 20, 2008 Today's Dragon Ball Card of Day is Kaio-Ken. Organous & Bibbo all have reviews for you today. An interesting email I received from a PR company: "Hello DragonBall Fans! I wanted to let you know that New York Comic Con and MTV are working together to cast a DragonBall "fanboy" for a segment in the True Life docu-series. Applicants, who appear to be 16 to 28 years old and are fanatic about DragonBall collectibles should strongly consider trying for this opportunity to dress up as their favorite DragonBall character like Goku or Piccolo and be a guest at New York Comic Con and followed around at the convention by a MTV True Life production crew. Visit www.nycomiccon.com/mtvtruelife for more information and to download the application." Tuesday, November 18, 2008 Today's Dragon Ball Card of Day is Kamehameha. Organous has a review for you today. Friday, November 14, 2008 I missed posting the COTD yesterday, so you get a twofer today. Today's Dragon Ball Cards of Day are Super Healing Potion and Cross Armed Dive from The Warriors Return set. Organous reviews for you today. Wednesday, November 12, 2008 Today's Dragon Ball Card of Day is Dende's Wish from The Warriors Return set. Organous has a review for you today. Friday, November 7, 2008 Today's Dragon Ball Card of Day is Vegeta [Super Saiyan] Slug. Bibbo has a review for you today and he really likes this card. Thursday, November 6, 2008 Today's Dragon Ball Card of Day is Lord Slug. Bibbo has a review for you today and he really likes this card. Tuesday, November 4, 2008 Today's Dragon Ball Card of Day is Cell [The 2nd Form]. Organous has a review for you today. Friday, October 31, 2008 Today's Dragon Ball Card of Day is Piccolo Jr. from The Warriors Return. Organous has a review for you today. Thursday, October 30, 2008 Today's Dragon Ball Card of Day is Tien from The Warriors Return set. Organous & Bibbo all have reviews for you today. Tuesday, October 28, 2008 Today's Dragon Ball Card of Day is Krillin from The Warriors Return. Organous has a review for you today. Friday, October 24, 2008 Today's Dragon Ball Card of Day is Cymbal from The Warriors Return set. Organous & Bibbo all have reviews for you today. Thursday, October 23, 2008 Today's Dragon Ball Card of Day is Fortuneteller Baba from The Warriors Return set. Organous has a review for you today. Tuesday, October 21, 2008 Today's Dragon Ball Card of Day is Emperor Pilaf from The Warriors Return set. Organous & Bibbo all have reviews for you today. Friday, October 17, 2008 Today's Dragon Ball Card of Day is Cell from The Warriors Return. Organous has a review for you today. We also welcome Bibbo to the review crew today. Thursday, October 16, 2008 Today's Dragon Ball Card of Day is Master Roshi from The Warriors Return. Organous has a review for you today. Tuesday, October 14, 2008 Today's Dragon Ball Card of Day is King Kai from The Warriors Return. Organous has a review for you today. Friday, October 10, 2008 Today's Dragon Ball Card of Day is Raspberry from The Warriors Return. Organous & Soviet Prince have reviews for you today. Wednesday, October 8, 2008 Today's Dragon Ball Card of Day is Yamcha from The Warriors Return. Organous, Soviet Prince & wildfire194 have reviews for you today. Tuesday, October 7, 2008 Today's Dragon Ball Card of Day is Goku from The Warriors Return. Organous & wildfire194 have reviews for you today. Friday, October 3, 2008 It's Frieza Week in our COTD section. Today's Dragon Ball Card of Day is Frieza [Final Form] from The Warriors Return set. Organous, Stegy & wildfire194 have reviews for you today. Wednesday, October 1, 2008 It's Frieza Week in our COTD section. Today's Dragon Ball Card of Day is Frieza [2nd Form] from The Warriors Return set. Organous, Stegy, wildfire194 & TFH all have reviews for you today. Tuesday, September 30, 2008 It's Frieza Week in our COTD section. Today's Dragon Ball Card of Day is Frieza from The Warriors Return set. Organous, wildfire194 & TFH all have reviews for you today. Friday, September 26, 2008 Today's Dragon Ball Card of Day is Vegeta from The Warriors Return set. Organous, Soviet Prince & Koli Xela all have reviews for you today. We also welcome Stegy & wildfire194 to the review crew today. Wednesday, September 24, 2008 Today's Dragon Ball Card of Day is Goku [Super Saiyan] from The Warriors Return set. Organous, Knight, Soviet Prince & Koli Xela all have reviews for you today. Monday, September 22, 2008 It's the beginning of a new era in the DBZ CCG World. Bandai has created a brand new Collectible Card Game based off the successful Naruto CCG gaming engine. We have our very first Card of the Day for the Bandia CCG, and we welcome Organous, Knight, Soviet Prince & Koli Xela to the review crew today. Today's COTD is Gohan. Saturday, September 20, 2008 We're going to get the DBZ COTD going again starting on Monday. Super Saiyan Trunks whets your appetite today with a DBZ CCG article titled: How to make the Dragonball CCG Thrive: Part 1. Wednesday, July 29, 2008 ComingSoon.net has discovered a Japanese Poster for the 2009 Dragonball Movie. You can see it here if that interests you. Tuesday, July 29, 2008 Bandai is really sparking a new interest in DBZ with their new Trading Card Game. So we've added more DBZ TCG forums to our DBZ Message Boards today. Head on over to trade cards, share deck ideas, and get our questions answered. This game plays a lot like the Naruto TCG. For those of you going to GenCon, here's the DBZ tourney schedule. Thursday, July 10, 2008 We added a new What If from one of our readers today. Tuesday, July 8, 2008 We added a new What If from one of our readers today. Monday, June 16, 2008 We added a couple new What If's from our readers today. Thursday, May 22, 2008 We've got some new details on the new DBZ: Burst Limit Video Game that's coming out in June. If you preorder the game from Gamestop, you can an exclusive bonus. With the XBox version, you get the anime DBZ Season 1 episodes 1-7. With the PS3 version, you get the anime DBZ Blu-Ray feature: Dead Zone. 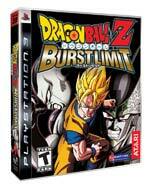 Tuesday, May 19, 2008 Gamespot has a preview of the XBox & PS3 title: Dragon Ball Z: Burst Limit, which is in development. Tuesday, April 22, 2008 We added another What If from one our readers today. Tuesday, March 18, 2008 We added another What If from one our readers today. Monday, March 10, 2008 We added another What If from one our readers today. Tuesday, February 12, 2008 ANN has details on some new DBZ Toys in Japan - Wrisbands & Scouters. Tuesday, February 5, 2008 We added another What If from one our readers today. Monday, January 7, 2008 Happy New Year! We added 2 more What If's from one our readers today. "What If Goku Let Raditz Live?" & "What If there were alternate versions of the Justice League in DBZ?" Tuesday, January 1, 2008 Happy New Year! We added another What If from one our readers today. Thursday, December 28, 2007 We added another What If from one our readers today. Wednesday, December 26, 2007 Emmy Rossum who stars in the upcoming Dragon Ball Movie, has a MySpace Blog, and she's just written a Christmas Note about training for her role. UGO has a Dragon Ball Z Budokai Tenkaichi 3 Review. Wednesday, December 12, 2007 IGN has a review of the new Dragon Ball Z: Budokai Tenkaichi 3 video game for the Wii. Monday, October 1, 2007 We added another What If from one our readers today. Thursday, September 27, 2007 GodsGiftToNature sent us an Interview he found in an Old Shonen Jump with Toriyama. We posted it on the Interviews page too. Monday, July 30, 2007 We added another What If from one our readers today. Monday, July 23, 2007 We added a couple new What If's from our readers today. Monday, June 25, 2007 We added a couple new What If's from our readers today. Monday, June 4, 2007 We added a couple new What If's from our readers today. We also added another new What If from one our readers today. Tuesday, May 15, 2007 We added another new What If from one our readers today. Monday, May 14, 2007 We added a new What If from one our readers today. Monday, May 7, 2007 We added a new What Ifs from one our readers today. Thursday, March 22, 2007 The lucky folks in Japan will be getting a Dragon Ball Z MMORPG (Massive Multiplayer Online Role Playing Game) in 2008. DBMania.net, a Japanese DBZ site has details on this new PC game. Japanator says: "the game is set 200 years after the manga's end. The plot? An evil organization has divided up the world, which players set out to reunite. 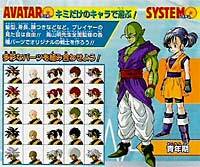 What's more, players start off as kids, grow into adults and can select any of the major races — Saiyan, Nameks and Humans. Just as you'd expect with any MMO, players can also make their own avatars. Artist Akira Toriyama will be lending a hand to design characters, backgrounds." Thanks to Ozzie for the heads up on this news! Wednesday, March 14, 2007 We added a couple new What Ifs? from our readers today. Tuesday, February 27, 2007 We added a couple new What Ifs? from our readers today. Tuesday, February 13, 2007 Gamespot has an early review of Dragon Ball Z: Harukanaru Densetsu for the DS. all of our new reader submitted What Ifs? Save $20 and order from Amazon.com today!